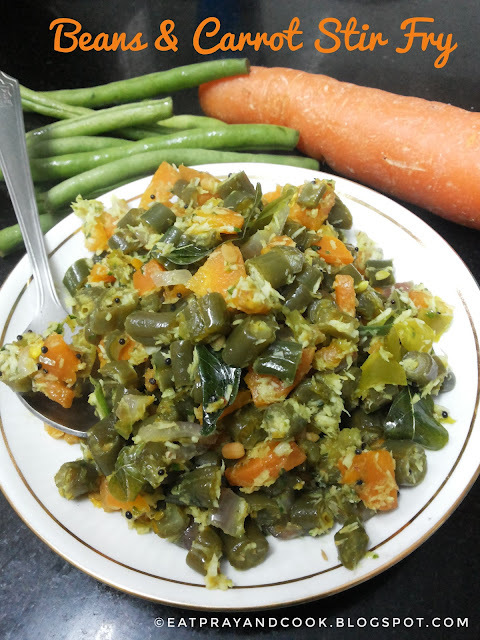 Beans-carrot poriyal is a very common side dish for meals in any south Indian home. 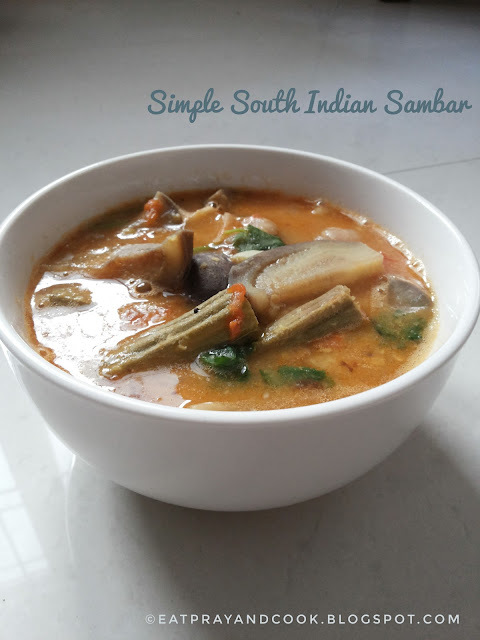 excellent side dish for sambar or rasam or curd rice. if you ask me, i can eat it like an 11 o clock snack 😋. i always had the habit of eating such veg stir fries as snack. as usual my mother used to yell at me 😈. 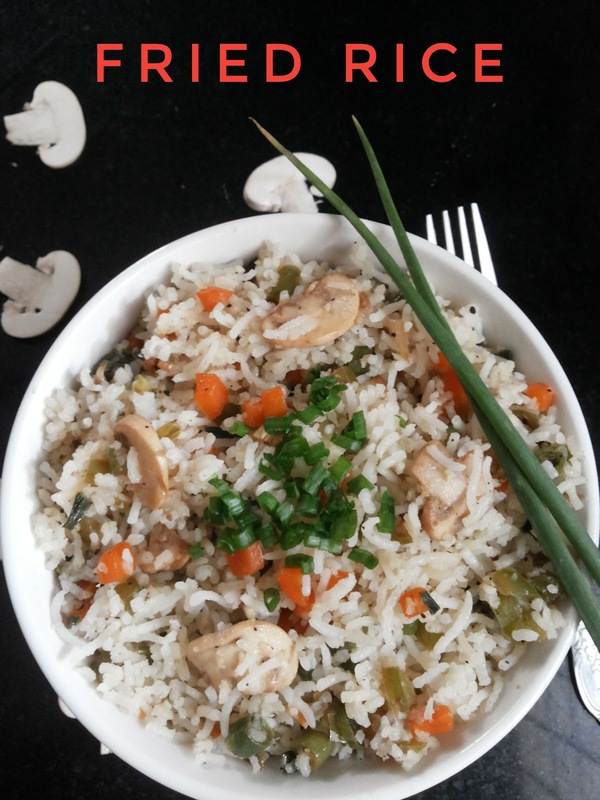 this is such a easy, elegant and healthy dish. but you cannot make this through out the year. sometimes the green beans prices hit the peak when it is Rs. 100 per kg or even more. when i was a kid the common green beans which were available were sort of flat and long. but that variety is now gone and those which are available are cylindrical beans. i found those flat green beans were tastier. today i made drumstick sambar and hence i decided to make this poriyal for side. let me show you how i make this simple colourful poriyal. talking about colourful.. this has the three colours of our national flag - green, orange (saffron) and white from coconut. 😀. Tempering ingredients: mustard seeds, urad dhal, asafoetida and oil. heat few teaspoons of oil in a pan and add the tempering ingredients. let it splutter, then add the slit green chillies and finely chopped carrot and green beans. add salt, turmeric powder and stir. sprinkle some water and cover it. open the pan and let the water dry up. once water is fully gone, add the coconut gratings, curry leaves and stir again. finally finish it up with 2 teaspoons of coconut oil and coriander leaves. the green beans-carrot poriyal with awesome coconut oil flavour is ready. 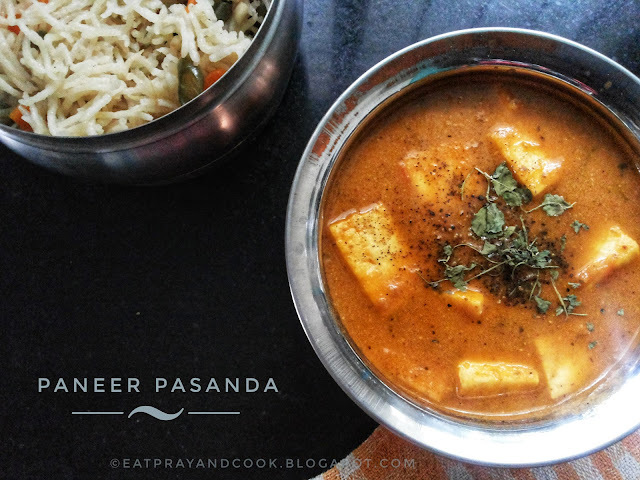 Paneer pasanda is another paneer gravy dish which is quiet easy to make as there is no chopping of onion and tomato. Kadamba saadham(rice).. i was not familiar with this rice until few years back when i read the recipe in a cook book during Navarathri festival. Kathirikkai-Murungakai Sambar - Namma Sambar !! 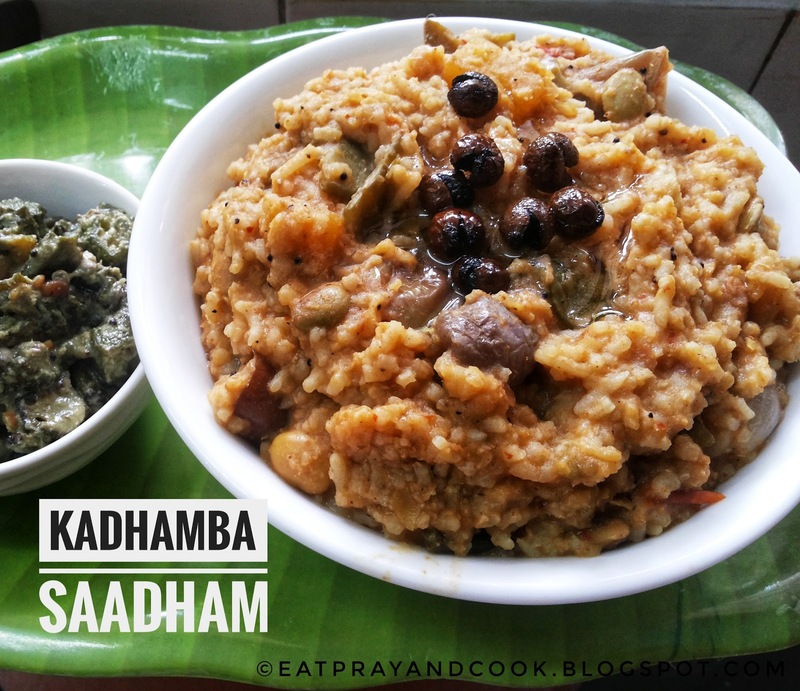 Kathirikkai & Murungakai Sambar - My Style. Mysore Pak - Deepavali Is Just Around the Corner ! Mysore pak - I was not a very big fan of Mysore pak during my childhood days. But I saw people going crazy for this simple not-so-soft or not-very-flavourful south Indian sweet. Especially my father. 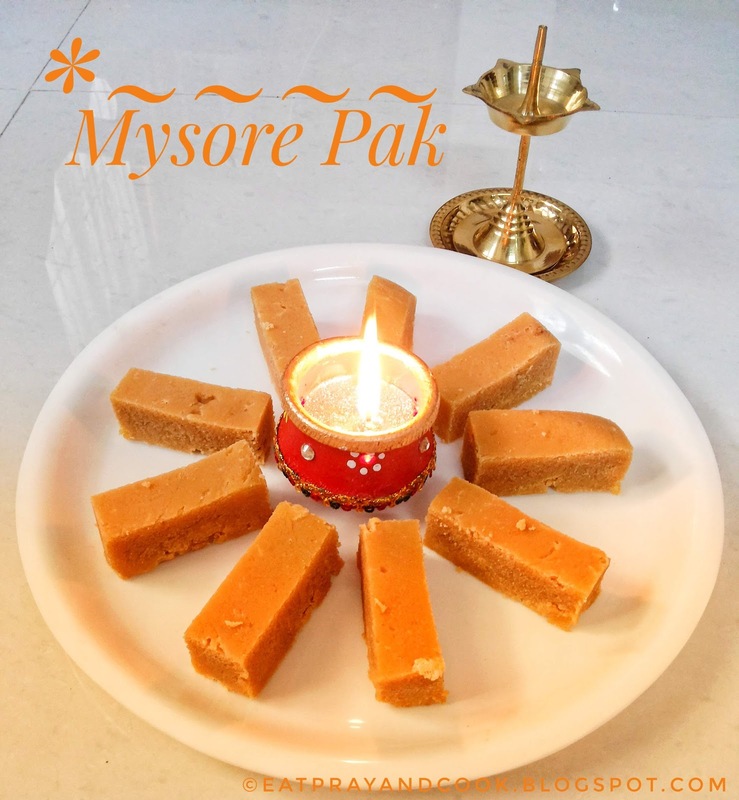 I remember, this Mysore pak used to be an important sweet in the wedding sweets ("Kalyana seer palakaram" list along with boondhi laddoo and badusha). Kanchipuram idli is fondly known as "kovil idli". Kovil means temple in Tamil. 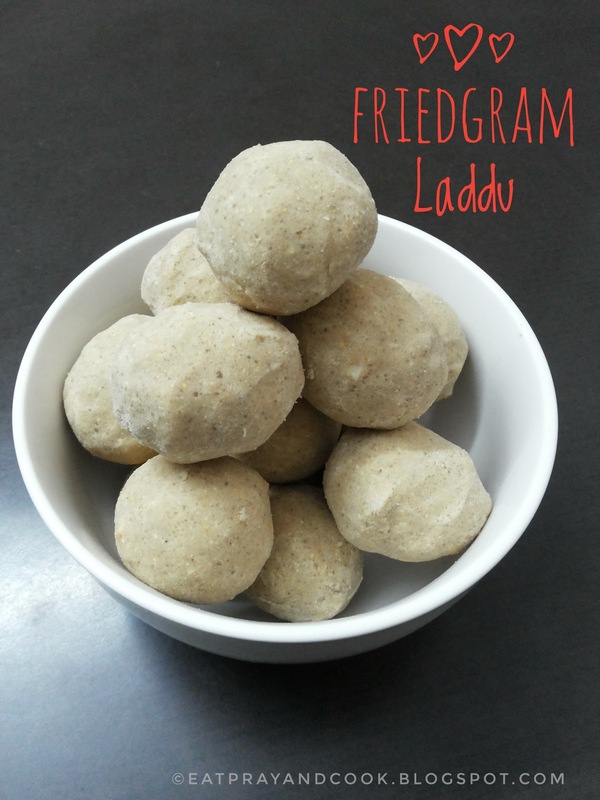 If there is any laddu recipe which is easy to make, healthy and good to eat.. then it is this pottu kadalai or udacha kadalai laddu. Our people used to call it as udacha kadalai and many of my friends call it as pottu kadalai or chutney paruppu. Its a very healthy pulse variety. It is extremely rich in iron content. Excellent snack for kids.